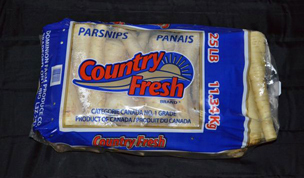 Dominion Farm Produce grows, packs and ships delicious parsnips under the Country Fresh Brand®. 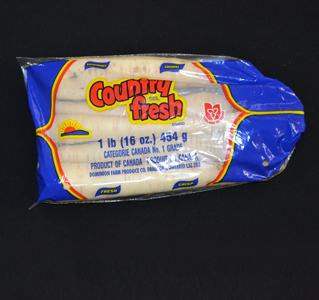 We distribute to local grocery stores as well as multi-national grocer chains. 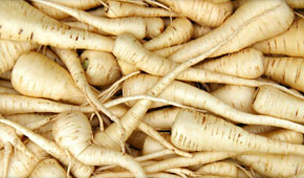 A root vegetable related to the carrot that has creamy-coloured skin and flesh. 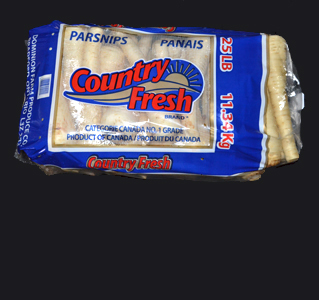 Parsnips are sweet and quite versatile. Roast them with beef, add them to stews, slice them long ways and bbq, fried in butter or smashed. Our "snips" are available from late August and stored through May/June. Custom parsnip packs available upon request.